If you watched the Apprentice back in 2011 you’ll remember winner Tom and his invention, the S-shaped nail file. The point of the curved Stylfile was to make nail filing an easier task, and although I’d never tried it, it was a concept that appealed to me. However, I’d actually forgotten all about it until I was invited to meet him last week and hear all about the Stylfile2 and other new product developments he’s been working on. 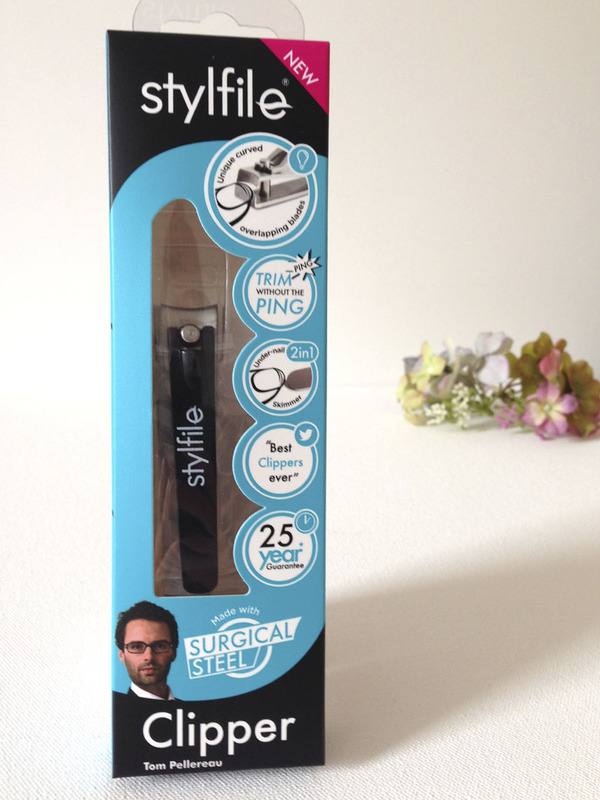 The Stylfile 2 is the second incarnation of the S-file, and is one of the products launched this month. I’ve been using my sample version this week, and I have to say I’m definitely converted to the curved nail file way of thinking. Thanks to the S-shape of the file it’s far easier to get a nice nail shape using this file than a regular file. It’s actually a bit mindless – because the file follows the shape of your nails you don’t really need to pay attention and the nail shape just happens, which is great for when you’re filing nails in front of the TV! The difference between this and the earlier version is that it’s a 3-in-1 file, which features an under-nail cleaner and a cuticle-pushing tool on either end. If you’re willing to invest £5 in a decent nail file then I can highly recommend this! Apparently it will last up to 12 months so actually that’s pretty good value. The Emergency file – a mini travel-sized version of the Stylfile with a keyring attachment and spiral protective casing so that it doesn’t damage your phone screen. This product looks fantastic and it was a shame not to see a sample, but it’s definitely something I need in my handbag! S-Buffer – I experimented with a prototype of this 4-step buffer and managed to create some seriously glossy nails! 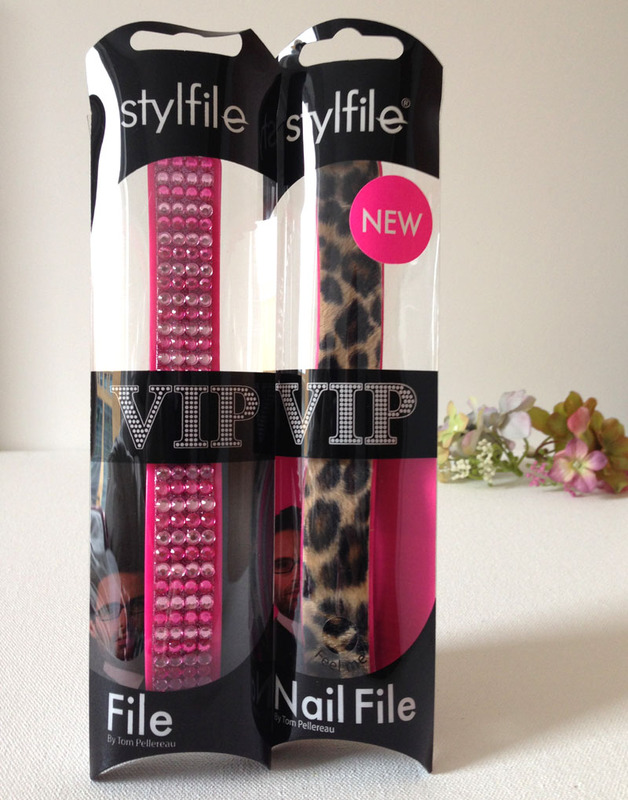 The VIP file – like the original Stylfile but with jewels or animal-print fuzz on one side. It’s not really for me but it could be a cute gift for someone. S-Ped – a foot-smoothing product designed to follow the contours of your feet. S-Clipper – nail clippers that trim nails without the clippings pinging off in all directions – a genius idea! Has anyone used any of these already, or do any stand out as must-tries? Tom was really lovely to chat to and as an inventor in the beauty tool market he’s really keen to hear more of the beauty problems we experience. 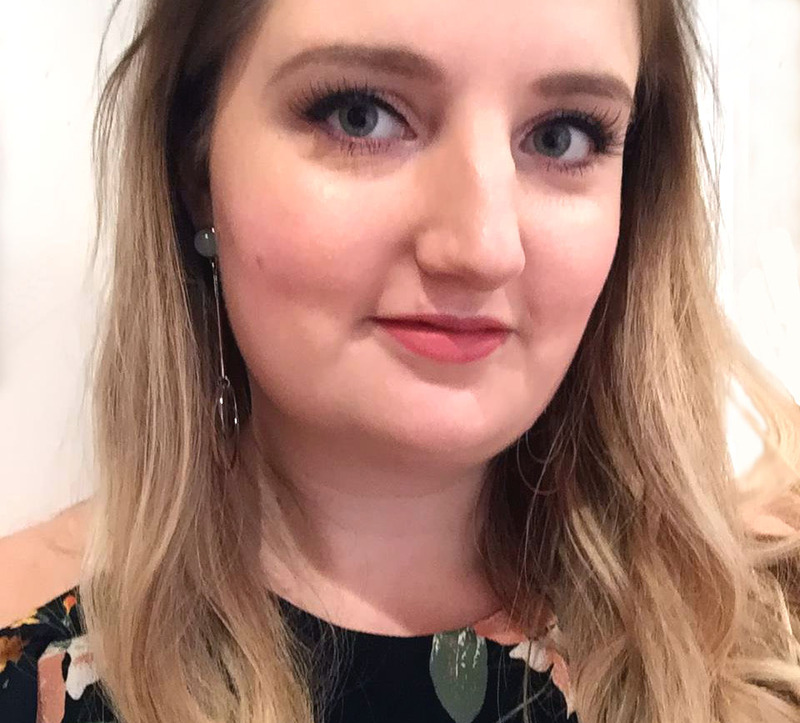 He’s about more than just nails so if there’s something that really bugs you about your beauty tools – be it eyelash curlers, makeup brushes, tweezers or whatever – he really wants to hear about it! Chat to him on Twitter @inventor_tom to inspire him with how he can make your beauty regime easier.